Americans read the increasingly panic-stricken reports of deepening catastrophe at Fukushima Daichi, speed to the pharmacy to look for iodine and ask, “It’s happened there; can it happen here?” They already know it can, and almost certainly will. Along much of California’s coastline runs the “ring of fire” which stretches round the Pacific plate, from Australia, north past Japan, to Russia, round to Alaska, down America’s West Coast to Chile. 90 percent of the world’s earthquakes happen round the Ring. Apparently acting predictively on this piece of sarcastic wisdom, the US has deployed four nuclear plants near the “ring of fire” faultlines, including two active ones in my home state of California. Forty miles up the road from me, in Eureka, in far northern California, we had a boiling water reactor, closed in 1976 because – surprise! – there was an earthquake from a “previously unknown fault” just off the coast. Now all we have are spent nuclear fuel rods in ponds, right on the shoreline, a few feet above sea level, nicely situated for a tsunami, such as the one that disabled the relief diesel generators designed to pump emergency coolant in the Fukushima plant. Three plates meet at Triple Junction off Cape Mendocino a few miles north-west of where I write. We had a 7.1 earthquake in 1992. First moral in the nuclear business: Eyes wide shut at all times; deny the predictable. Further south, halfway between San Francisco and Los Angeles is the Diablo Canyon nuclear plant, planned in 1968 when no one knew about the Hosgri fault, part of the ring of fire, a few miles offshore. Further enquiry established that there’d been a 7.1 earthquake 40 years earlier, offshore from the plant, completed in 1973. The power company – Pacific Gas & Electric — said it would beef up defenses. In their haste the site managers reversed the blueprints for the new earthquake proofing of the two reactors, and so the retro-fit wasn’t a total success. Second moral in the nuclear business, as in any other human enterprise, somewhere along the line people always mess up. San Diablo is supposedly built and retrofitted to survive intact a 7.3 quake. San Francisco got destroyed by a 7.7 and subsequent fire, as the 1906 quake ripped the San Andreas fault for 300 miles north and south through the city. Head south another 150 miles and we get to the San Onofre plant, right on the shoreline with a 2,000-strong work force. Jerry Collamer on our site today cites it as ”the scariest workplace in America.” In fact I’ve swum in its shadow, in waters highly esteemed by anglers because fish gather there, enjoying the elevated water temp; some also claim the fish there get bigger, faster. There are storage ponds for spent fuel in a decommissioned unit in a spherical containment of concrete and steel with the smallest wall being a adamantine 6 feet thick, just about the same as the ruptured containment at one of the collapsing Fukushima units. Further illustration of Moral number 2 was in evidence in one of San Onofre’s two active units, when it was discovered the the mighty engineering and construction firm,Bechtel, had installed a 420-ton nuclear-reactor vessel backwards. The nearest faultine is the Cristianitos, deemed inactive. See moral number one. The power company says San Onofre is built to withstand a 7.0 quake. There’s a 25-foot sea wall, which is just over half the height of the walls that crumbled like sand last week along Japan’s north-east coast. San Onofre is sea-water cooled. Environmentalists don’t care for that so they plan to build two cooling towers the other side of Interstate 5, California’s main north-south road, thus immune to jelly-fish attack, but open to other methods of assault. At last count I think there were four identified faultlines offshore from San Onofre. The Uniform California Earthquake Rupture Forecast figures A 67 PER CENT probability of an earthquake 6.7 or higher for Los Angeles, 63 per cent for San Francisco. Up where I live, in the Cascadia subduction zone, (subduction is one bit of a plate pushing under another, as just happened off north-east Japan) we have a 10 per cent possibility of an 8 or 9 force quake and at least a Big One a near certainty fairly soon. Certainly everyone around here and now up and down the California Coast has got their eyes Wide, not Shut. There are robust souls, who look on the bright side. Some of them are in the pay of the nuclear industry — President Obama for example, who took plenty of money from the nuclear industry for his presidential campaign and in his State of the Union address last January reaffirmed his commitment to “clean, safe” nuclear power, as insane a statement as pledging commitment to a nice clean form of syphilis. This week Obama’s press spokesman confirmed that nuclear energy “remains a part of the President’s overall energy plan.” As Will Parrish reports in a terrific piece in our latest newsletter, Obama was flacking for boosted plutonium production even as Fukushima Daichi went into meltdown. The United States produces more nuclear energy than any other nation. It has 104 nuclear plants, many of them old, many prone to endless leaks and kindred malfunctions, all of them dangerous. Take the Shearon Harris nuclear power station in North Carolina, also a repository for highly radioactive spent fuel rods from two other nuclear plants. 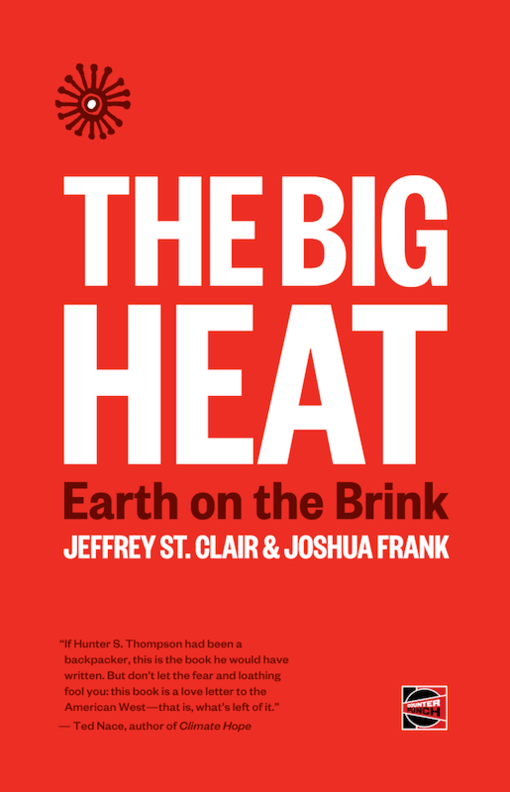 As Jeffrey St Clair narrated here on our site last week, It would not even require a quake or tsunami, only a moderately ingenious terrorist to breach Shearon Harris’s puny defenses and sabotage the cooling systems. A study by the Brookhaven Labs estimates that a pool fire there could cause 140,000 cancers, and contaminate thousands of square miles of land. The benchmark catastrophe amid peacetime nuclear disasters remains the explosion in the fourth reactor at the Chernobyl nuclear power station on April 26, 1986, in the Ukraine. Denial that Chernobyl actually killed and is killing hundreds of thousands of people is crucial to the efforts of the nuclear lobby. Earlier this week Fergus Walsh, the BBC’s medical correspondent, comforted his audience with the amazing nonsense that by 2006 , Chernobyl had prompted only sixty deaths from cancer! I’ve read the same drivel many times over the last few days. They get their buttress from a shameful report overseen by the UN’s nuclear lobby, published in 2005-6. In 2009 the New York Academy of Sciences published Chernobyl: Consequences of the Catastrophe for People and the Environment, a 327-page volume by three scientists, Alexey Yablokov and Vassily and Alexey Nesterenko, the definitive study to date, a lot of of it citations from scientific papers with detailed health statistics. [A]s long as the following four conditions are met, I will no longer oppose atomic energy. Does Monbiot live on Fantasy Island? It’s as if things called ‘political power’ and ‘economic power’ do not exist. Hasn’t he read a line from the history of the nuclear power industrial/academic / political complex – one of the most powerful lobbies in the advanced industrial world, in continuous and successful operation for 70 years. Why do we not see furious demonstrations right now, outside everyone of this country’s 104 nuclear plants. Can the antinuclear movement, with a glorious activist history now 20 years gone, now not even manage a muted echo of the turnouts in Germany and France? No. The reason: major environmental organizations long ago made a devil’s pact with the nuclear industry. Fixated by their models of AGW, they took the nuclear option. We’re talking here about the Natural Resources Defense Council, the World Wildlife Fund, the Sierra Club which forced out David Brower when he opposed Diablo Canyon, (see Jeffrey St Clair’s piece on today’s site), people like Obama’s White House advisor John Holdren, along with supposedly progressive outfits like the Bulletin of Atomic Scientists and the Union of Concerned Scientists, who go on prattling about “better safeguards,” just like the idiotic Monbiot. Can’t they get it into their heads that nuclear power’s entire history has been the methodical breaching of supposedly reliable safeguards? See Lawrence Wittner’s piece on the site today about the Cruise of the Lucky Dragon, as just one example among thousands. It’s like trying to explain space to a child. The kid asks, Isn’t there a wall at the end? You say, but what ‘s the other side of the wall? There’s no outer limit to the lethal risks in nuclear power. There are 40-foot sea walls round a lot of Japan’s coastline. The recent tsunami went through them like a wavelet through a child’s sandcastle. One of the most interesting aspects to the current Japanese disaster, productive of much better reporting in newspapers like the NYT, the Guardian and the Mail is the division between the US and Japan on the gravity of the crisis. This gives journalists, always fearful of being called “alarmist”, quotes they can hang their hats on, as from the head of the Nuclear Regulatory Commission, Gregory Jaczko. The Japanese government establishes an evacuation zone 12 miles in radius. The NRC tells American civilians the evacuation zone should be 50 miles in radius. The head of a big US military base decrees a radius of 200 miles for service people. The USS Reagan steams rapidly out to safer waters. In political terms, nuclear power – in war and peace – has always been a war on the people, starting with the Japanese in Hiroshima and Nagasaki, going on to the Marshall Islanders, ranchers and kindred inhabitants of test sites across the West, Native Americans and poor Latinos and African Americans — the usual involuntary neighbors of waste dumps — people in the path of “accidents” – which are, as I like to say, normality raised to the level of conspicuous drama — or deliberate secret experiments, and most recently Fukushima. Not the executives of the Tokyo Electric Power Company. They’re in Tokyo or heading further south. It’s “worker heroes” – who know perfectly well they are doomed. Send the Board of TEPCO into the front lines! We see no furious upsurge against nuclear power here because progressives still mostly cram in under the toxic umbrella of Obama and his energy plan which – as he put it in his ludicrous State of the Union message earlier this year – substantially reposes on “clean” nuclear power as well as “clean coal.” When the House of Representatives (though not the U.S. Senate) voted for a climate bill in 2009 – the inclusion of a clean energy bank to provide financial backing for new energy production, including nuclear, was part of the bargain. Look at the false predictions, the blunders. Remember the elemental truth that Nature bats last, and that human folly and greed are ineluctable parts of man’s condition, Why try to persuade people that somewhere in hell there will be higher, safer, ground, where there are no force 8-9 earthquakes, tsunamis, dud machinery, forgetful workers, corner -cutting plant owners, immensely powerful corporations like GE and Westinghouse, permissive regulatory agencies ready with the next cover-up, politicians and presidents trolling for campaign dollars – in other words, the real world. Why tell people that willy-nilly they have to live in hell. Is that the shoal on which the progressive movement in America is beached? This shameful pact – call it Montbidiocy — between the nuclear industry and many big Greens has got to end. It’s over. The newsletter also features Mike Whitney on the grossest list in show business – the Forbes list of billionaires plus Shaukat Qadir on why Davis was in Pakistan in the first place plus Larry Portis on how much the French loathe Sarkozy and who advised him to declare war on Libya.